This is about the nicest thing I have ever heard about Altered Books or Mixed Media as it really captures what we are all about, recycling bits & pieces with our own personality to create something uniquely ‘you’. There are lots of good instructional manuals on how to alter old recycled books for you too chose from. 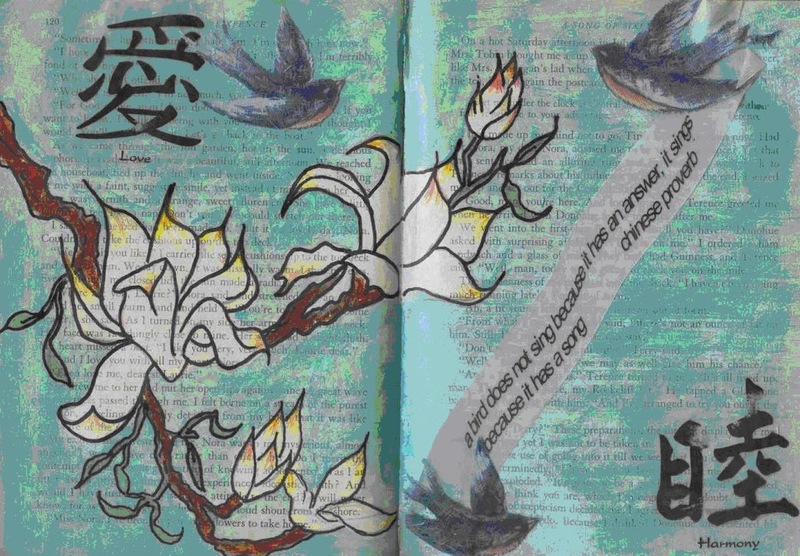 Many techniques used in Altered Books can easily be transferred to your scrapbooking pages, stamping, embossing, windows, pockets, collage and fold up flaps. Scrapbookers often use the similar process in creating Altered Books from newly purchased books or board books. http://groups.yahoo.com/group/alteredbooks/ This Yahoo group has 7,500 members around the world who contribute to a huge reference section and gallery. It is rated as an adult content site. Wow, Mandy, did you paint that????? It looks so neat! 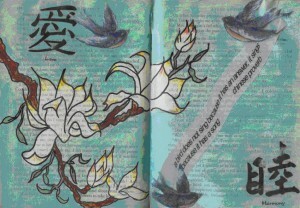 I would love to see one of your altered books from front to back!